SALEM, Ind. – Riding the wave of momentum from a strong weekend in Las Vegas competing in INEX Legends Car competition, Gus Dean (@gusdean) turns his attention towards Sunday’s ARCA Racing Series presented by Menards race at Salem (Ind.) Speedway, site of the Kentuckiana Ford Dealers ARCA 200. Despite an unexpectedly slow start to the season aboard the No. 32 GREE Heating and Cooling Toyota Camry, Dean’s Win-Tron Racing prepared cars have been fast in the opening two rounds at Daytona (Fla.) International Speedway and Fairgrounds Speedway Nashville respectively, giving the Mooresville, N.C.-based team high hopes for the third race of the season. Even though Dean, 22, doesn’t have any prior experience at Salem’s historic half-mile bullring, he participated in a private test last week, where Dean quickly got up to speed with Salem’s unique characteristics in a hurry and turned some very competitive lap times. “We’re really happy with the way the test went,” Dean mentioned. “I wasn’t sure what to expect. I heard a lot about Salem from Todd (Myers, crew chief) and Kevin (Cywinski, team owner), but I couldn’t wait to experience it on my own. I quickly learned you have to have respect for the place, but once you accept that and get comfortable, it’s a lot of fun. Sunday’s race though is more than just about a good finish, Dean wants to put on a good finish for his marketing partner, GREE who is sponsoring his No. 32 Toyota for the full 2017 ARCA Racing Series season. In 1991, GREE set out to make the world a cooler place. To this end, they’ve become a global leader in air conditioners, developing some of the most advanced commercial and residential air conditioners in the world. Based in Zhuhai, China, GREE is now the world’s largest specialized air conditioner company integrating R&D, manufacturing, sales and service. It’s our mission to innovate and create new ways to help people live well and stay comfortable no matter where they live, work or play. GREE will be joined by its master distributor for the US market, Tradewinds Climate Systems, as well as a number of their regional wholesalers, salespeople, and most importantly, fellow race fans. The company, which ranked 385th in Forbes’ Global 2000 possesses 18,000 active patents for products sold in 160 countries. Through two races though Dean realizes that the ARCA field is filled with stout cars and fast drivers, but the avid Late Model racer embraces the competition. “The better competition, the better of the show it is for the fans and the sponsors,” he said. “At Nashville, you had 12 to 15 cars that really had an opportunity to be competitive and put themselves in contention for the win. We’re proud to be a part of that group. While gunning for the ARCA Racing Series driver’s championship this season, Dean has also registered to be a SCOTT Rookie of the Year candidate aboard the No. 32 GREE Toyota Camry. In nine ARCA Racing Series starts, Dean captured his first career victory in his second career start at Talladega Superspeedway after starting second in Apr. 2016. 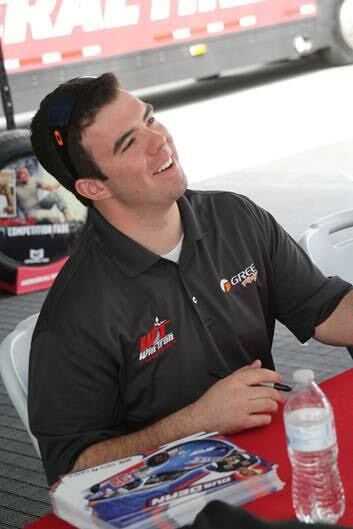 Overall, Dean has one top-five and three top-10 finishes and has led 21 laps in ARCA competition. The Kentuckiana Ford Dealers ARCA 200 (200 laps / 111 miles) is the third of 20 races on the 2017 ARCA Racing Series presented by Menards schedule. Practice begins Sat., Apr 29 with an hour and a half practice session planned from 12:00 p.m. – 1:30 p.m. General Tire pole qualifying is set for later in the day at 3:30 p.m. The race is set to take the green flag the following day, Apr. 30 shortly after 2:15 p.m. ARCARacing.com will stream live timing and scoring throughout the weekend’s activities, while the race will be tape-delayed on MAVTV. All times are local (Eastern). For more on Gus Dean, please visit his all new website at GusDean.com or like him on Facebook. Dean tweets too. Follow him on Twitter @GusDean. 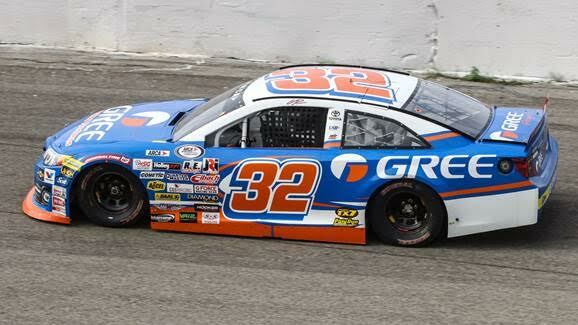 To learn more about GREE Racing and their expansion into Motorsports, please hop on GREERacing.com or follow them on Twitter @GREE_Racing. Follow Win-Tron Racing on Twitter @WinTronRacing, like on Facebook (WinTron Racing) or click on WinTronRacing.com. In 1991, GREE set out to make the world a cooler place. To this end, we’ve become a global leader in air conditioners, developing some of the most advanced commercial and residential air conditioners in the world. Based in Zhuhai, China, GREE is now the world’s largest specialized air conditioner company integrating R&D, manufacturing, sales and service. It’s our mission to innovate and create new ways to help people live well and stay comfortable no matter where they live, work or play. Located in Mooresville, North Carolina, Win-Tron Racing is a professional race team headquartered in “Race City USA.” Owned by former racer Kevin Cywinski, the team will compete for the ARCA Racing Series presented by Menards championship in 2017 with driver Gus Dean in the No. 32 GREE Toyota Camry. The team will also field a second entry in the No. 33 Toyota Camry with Justin Fontaine and others. Learn more at WinTronRacing.com or on Twitter @WinTronRacing.